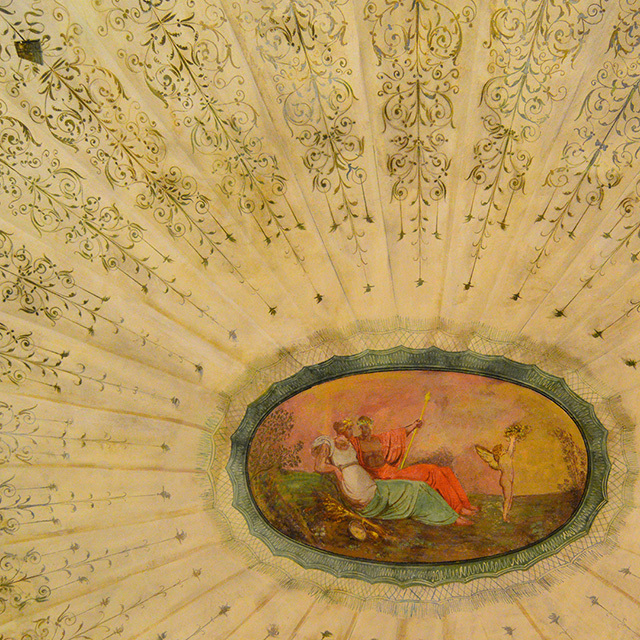 A suggestive oval room and a dome with floral decorations, arranged by Countess Silvia, in honor of the Queen of Italy Margherita of Savoy. The room has a great acoustics for classical music. 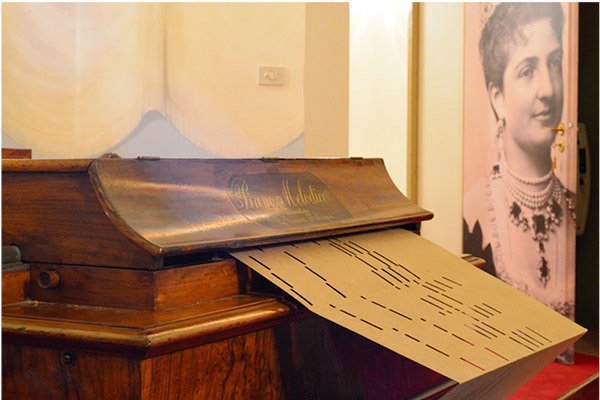 Special pieces of instruments are featured, including a melodic piano by the Bolognese company Racca – a crankshaft working with perforated cartons – directly belonged to the queen. Among other things, the German tool “Dita Meccaniche” ( mechanical fingers ) Welte does not go unnoticed, which by reading perforated paper rolls mechanically plays the keyboard of a grand piano.